As most of you now know Poker pro David Williams came close to winning the MasterChef title, finishing as runner up in the 2016 season. He narrowly missed out on the $250,000 prize money and cookbook deal but that doesn’t seem to have phased him much. 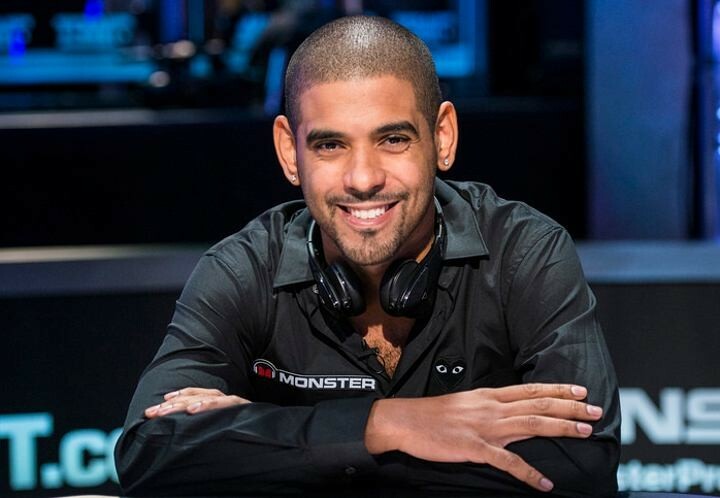 In the latest Poker Life Podcast Williams talks Masterchef, what it was really like and tells us about what they didn’t show on TV and about that tantrum. But don’t worry, it’s not all all talk of MasterChef—the podcast is nearly three and a half hours long—so there is definitely some poker chat in there too. Moving away from the poker world in recent years Prahlad “Spirit Rock” Friedman has just released a new music video called: “Hazy Eyez” under the name Pragress and introducing Aida. The boy has come a long way from the rap on ESPN that rocketed him to stardom and fame back in 2006. 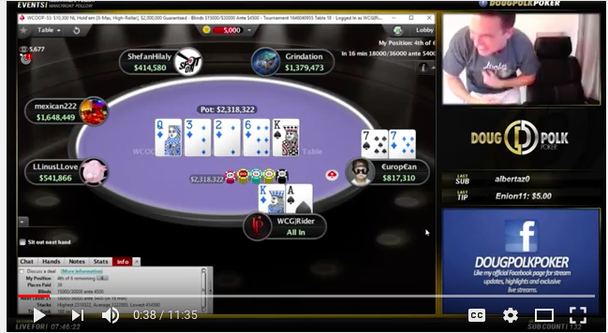 Earlier this week Doug Polk reclaimed the title for the largest cash in Twitch poker history as he finished the $10k WCOOP High Roller in second place after chopping the action three ways. In Polk’s latest video he breaks down his hands on the Final Table and there is also the moment he bagged the $455K. 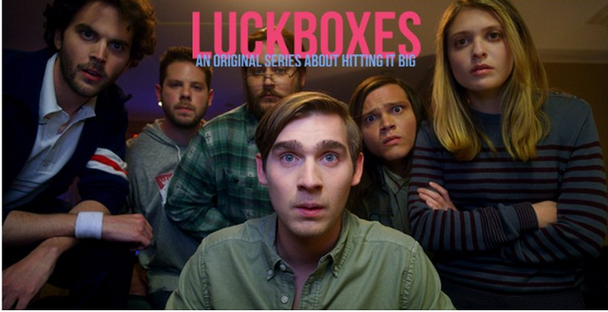 This new series from filmmaker Ryan Firpo who directed Bet Raise Fold the documentary that tells the tale of the online poker explosion and subsequent implosion caused by Black Friday, is back at the helm of a new venture: LuckBoxes. Set in 2009 the Series follows two brothers, struggling to find their way in the Great Recession, who turn to online poker to save their childhood home from foreclosure. LuckBoxes will be developed for streaming / cable but a release date is yet to be announced. Fingers crossed it is soon. 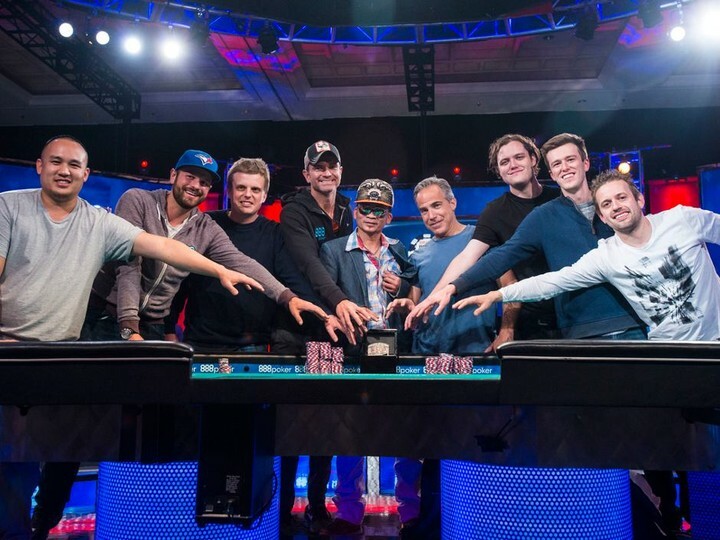 As we prepare for the November Nine, what has the 2016 WSOP taught us? On July 18th the curtain came down on the World Series of Poker – not the final, final curtain because there’s a certain nine player main event playoff to look forward too next month, but more of that a little later. So, to go back to the beginning, one of the biggest things that the WSOP 2016 has taught us is that poker is becoming more and more popular. The 107,833 entrants from countries all round the world have shown us that – only the second time that this has topped the 100,000 mark. It’s also a marker showing just how far we’ve come since the tournament started in 1970 when just seven players came at the invitation of mob boss and gambling legend Benny Binion and played for no more than the glory of winning. This year the total prize pot was an astonishing $221,211,336. So what else have we learnt from this year’s tournament? Roland Israelashvili led the way in the number of cashes with a very impressive 13 and no less than three players reached $5 million in career WSOP winnings Brian Rast, Fedor Holz and Dan Smith with both Holz and Rast picking up coveted bracelets along the way. The tenth person in the history of the WSOP to reach a total of $10 million in World Series winnings was Joe Cada. Women players also enjoyed much deserved success this year with two notable examples being Natasha Barbour and Lisa Meredith. The former had already come third in the $5,000 No Limit Hold’em event taking home a handsome $348,374 when her boyfriend Jason Mercier, this year’s Player of the Year, went down on one knee and asked her to marry him surrounded by cheering players. Meredith, a teacher from Oregon, enjoyed a big result at her first tournament winning $500,000 in the $1,500 Buy-In Millionaire Maker. One of the biggest stories however, is the rise of the satellite entrants. With both Fernando Pons and Griffin Benger making it through to the November Nine via the 888Poker WSOP Main Event qualifier. A huge step up from the 44th achieved by Ghattas Kortas in 2015, and something everyone hopes can be replicated next year. With satellites offering a great opportunity to make the game more accessible to any entrant it allows amateurs to really feel part of the poker community. So now all eyes are on the clash between the nine men who have made it through to the Main Event final table. Led by Cliff Josephy with 74.6 million chips and Qui Nguyen with 67.925 million it promises to be an intriguing event that runs between October 30th and November 1st in the Penn and Teller Theatre in the Rio All Suite Hotel and Casino. 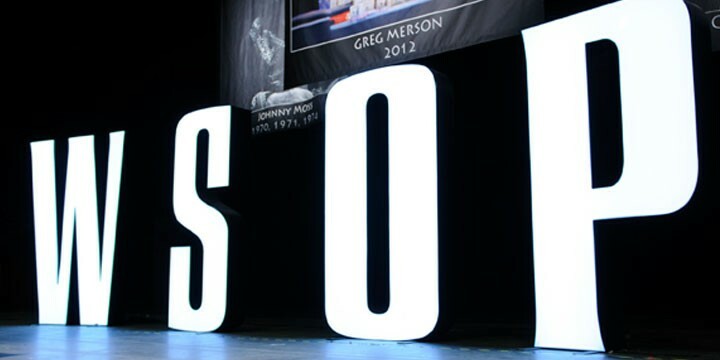 As for next year’s WSOP interest is already running high – and who knows, maybe we could be writing about you this time next year. 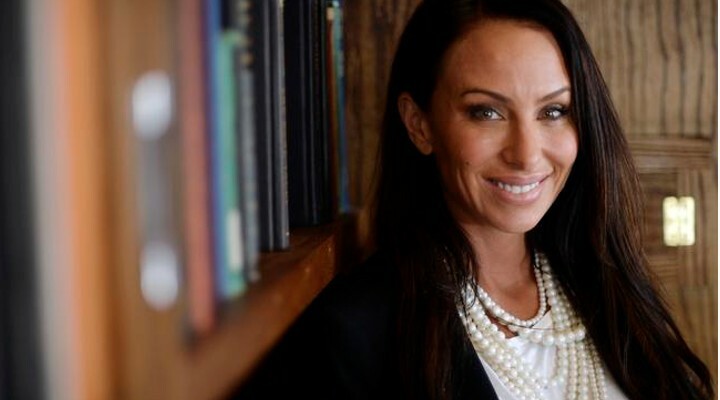 Aaron Sorkin’s directorial debut will be based on “Poker Princess” Molly Bloom’s memoir that created a stir when it came out back in 2014. It looks like “Molly’s Game” the memoir that rattled the cage of many an A list celebrity (exclusively those who have a penchant for playing in illegal high stake poker games) — will start filming in November 2016. Jessica Chastain (last seen in The Huntsman: Winter’s War and The Martian playing opposite Matt Damon) will play “poker princess” Bloom and everyone’s favourite Idris Elba of The Wire and Luther fame has been cast to play Bloom’s lawyer in the film. This is the first time Sorkin will take up directorial duties despite being behind the hugely successful series The West Wing, The Newsroom and taking down an Oscar for his screenplay of the The Social Network. You may remember that Bloom took a liking to friendly actors like Matt Damon and Ben Affleck but she painted Tobey Maguire in a less than heroic light — in fact she slated him — so it’ll be interesting to see how these famous faces are portrayed in the film, or if there will be any cameos. We don’t think so, but here’s hoping. Thanks to CardPlayer for the heads up. The film date is also confirmed by The Hollywood Reporter.